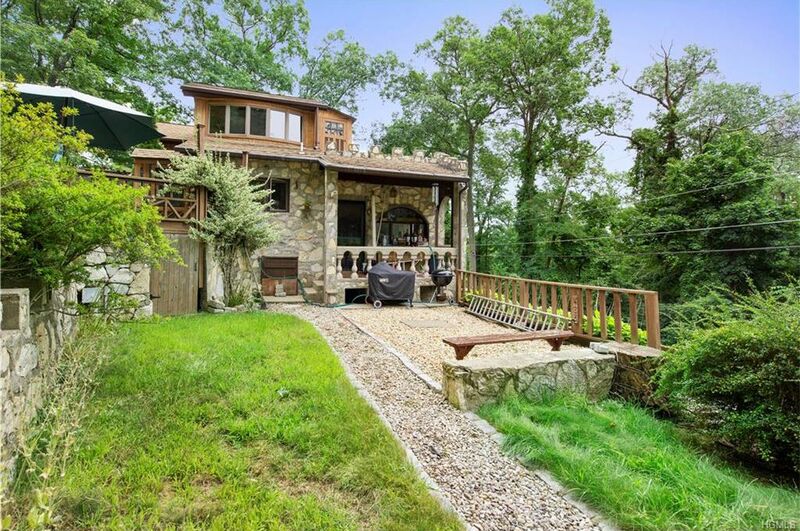 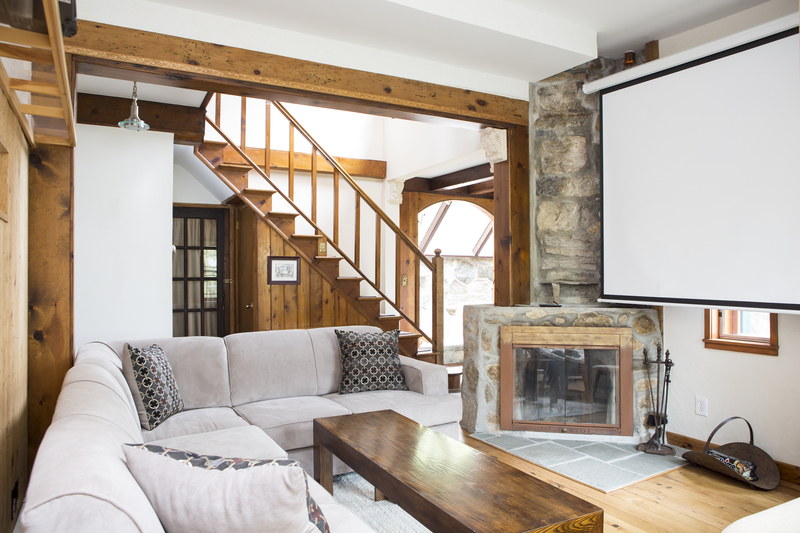 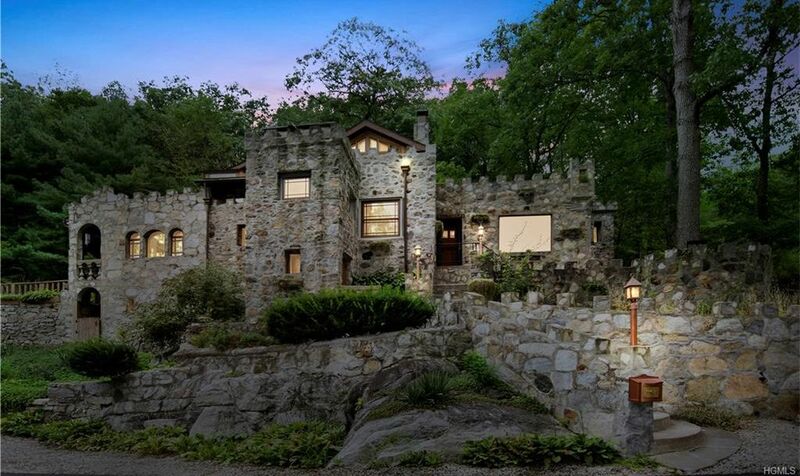 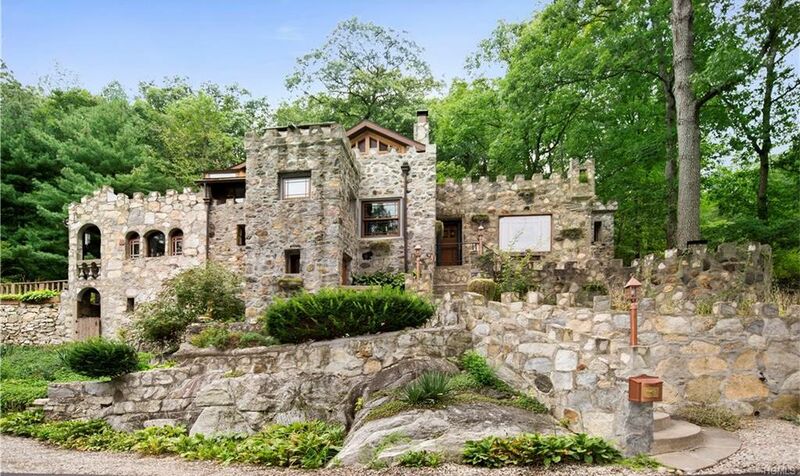 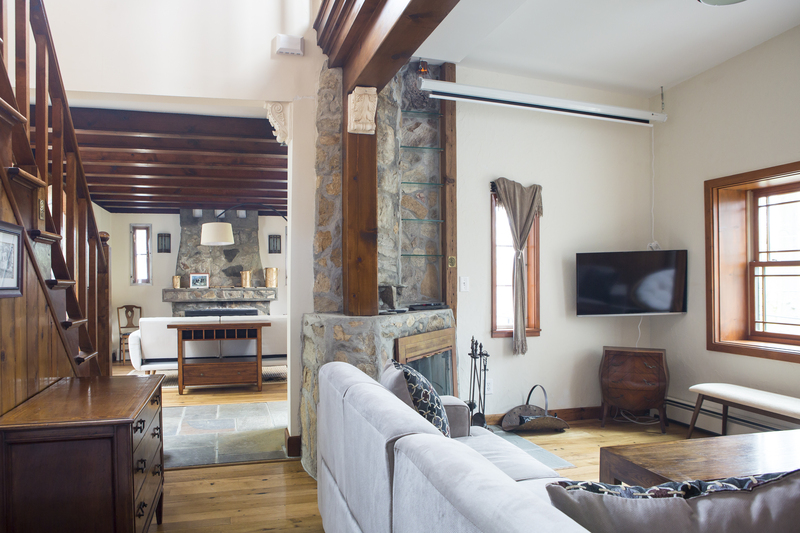 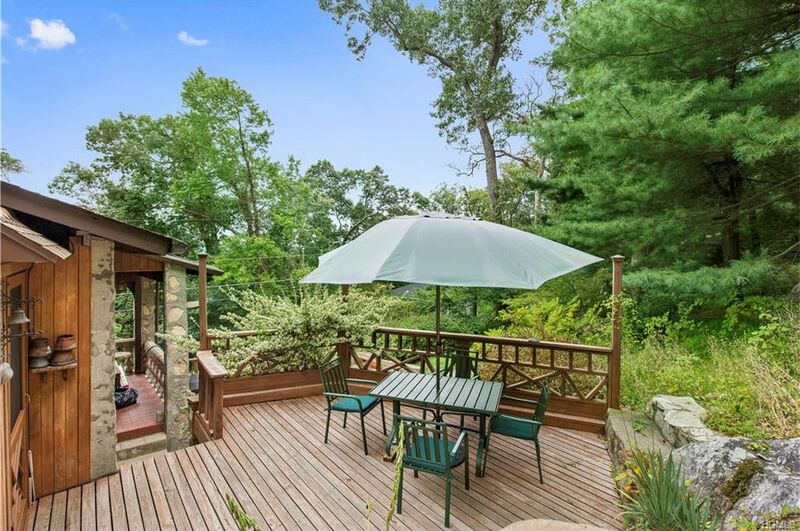 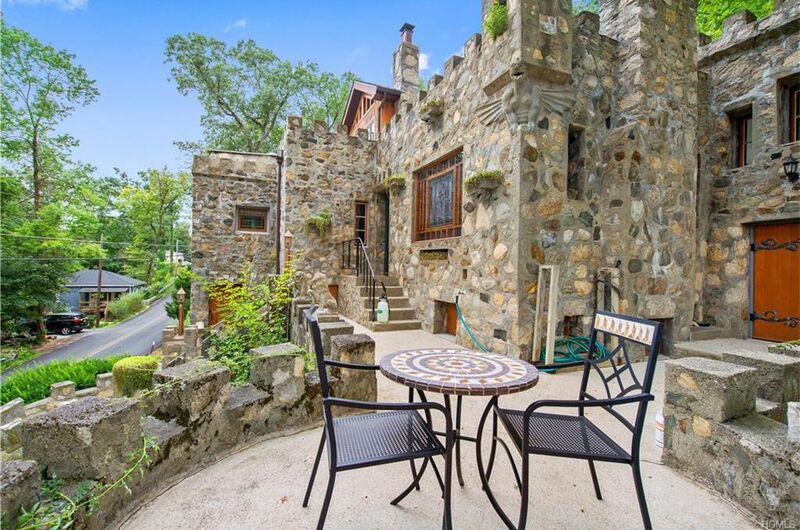 This truly unique, one of a kind, Stone Castle is within reach of NYC! 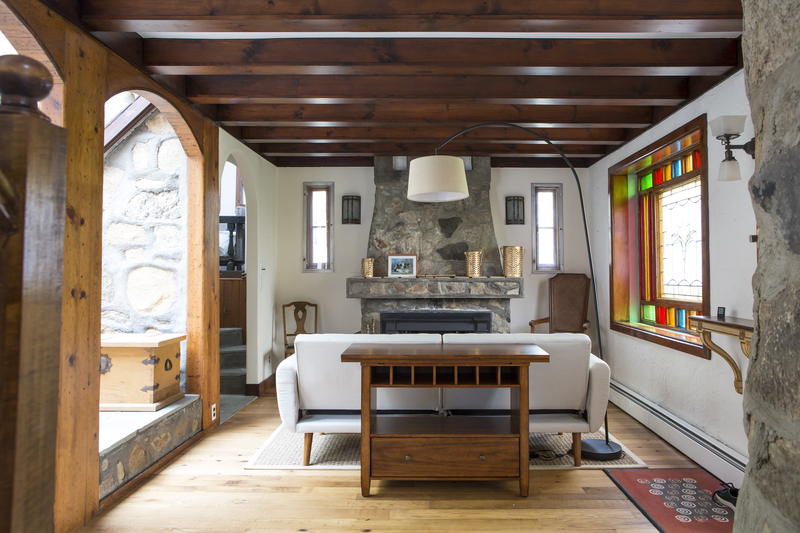 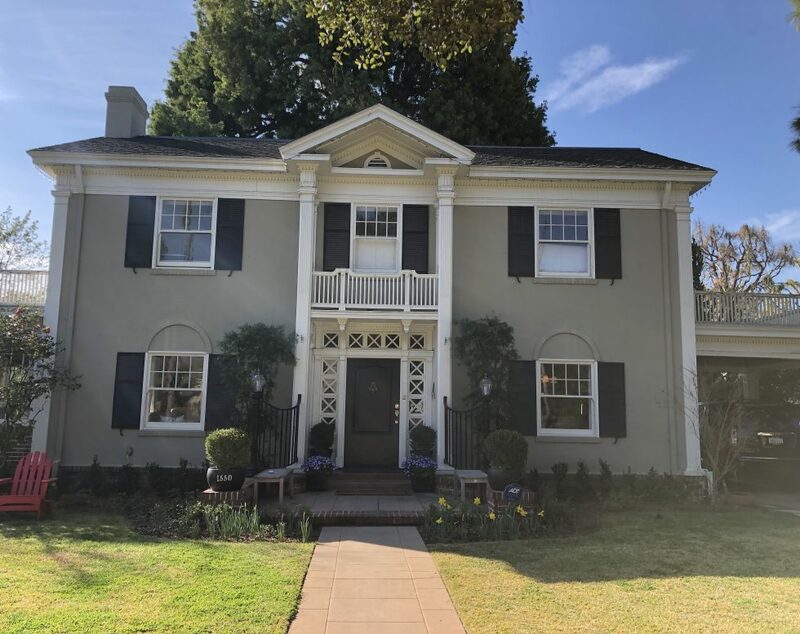 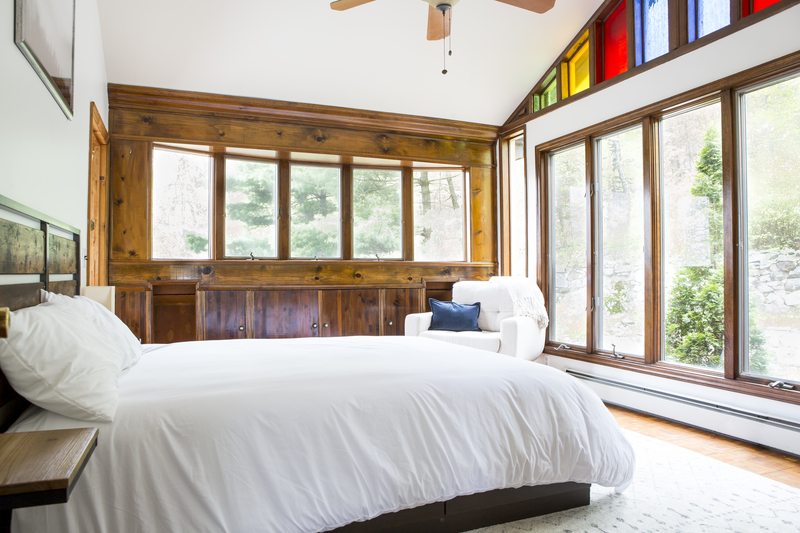 This home exudes warmth and character with stained glass windows, reclaimed red oak hardwood floors, arched windows, field stone accents and wood beamed rooms. 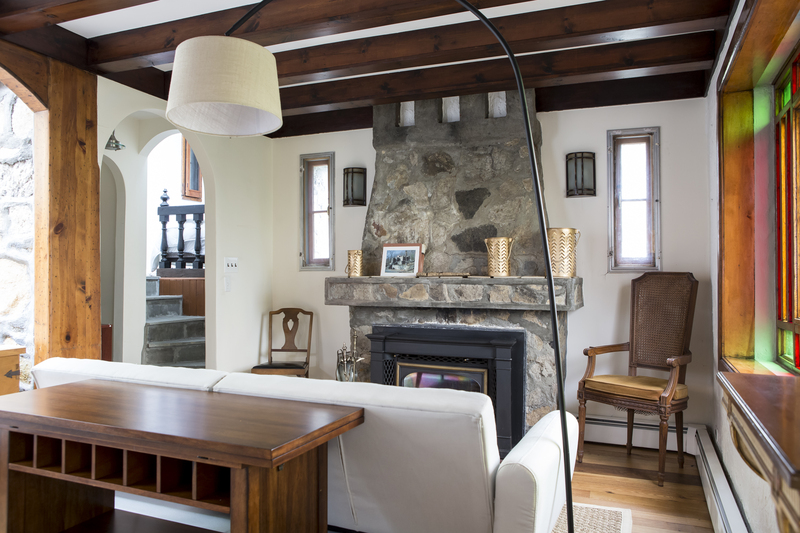 Living and family rooms with cozy fireplaces. 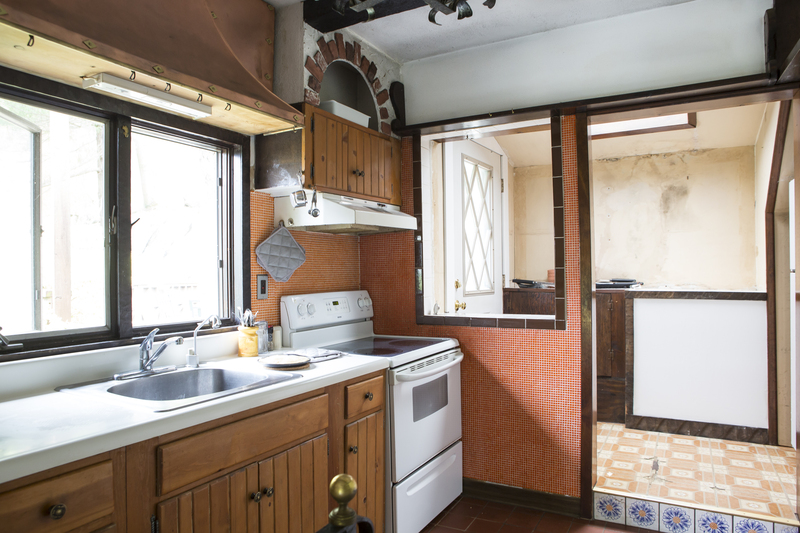 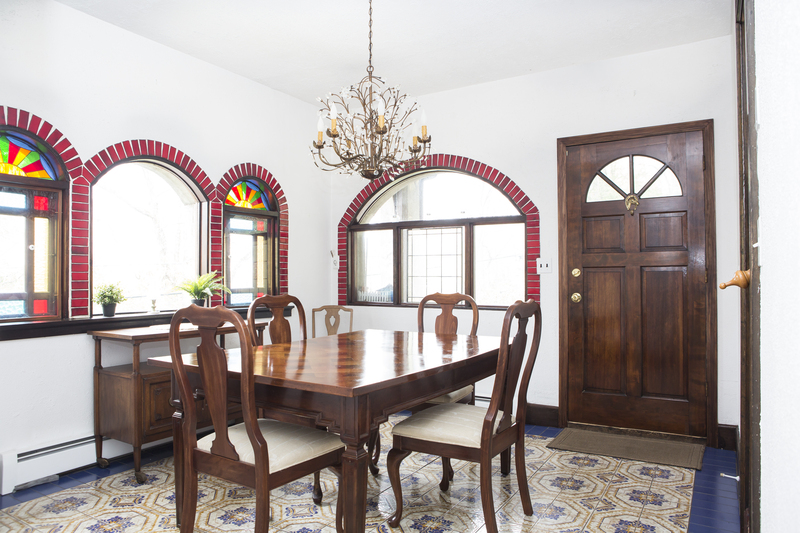 Kitchen and dining room with ceramic tile flooring are easy living spaces. 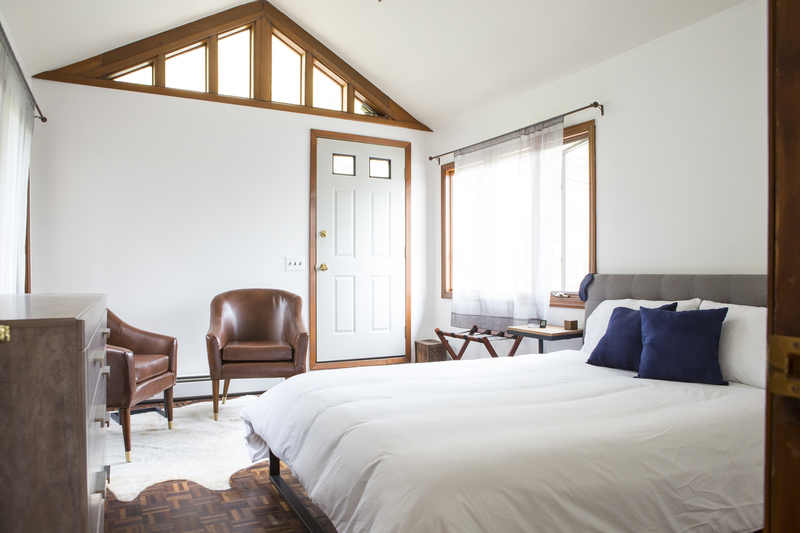 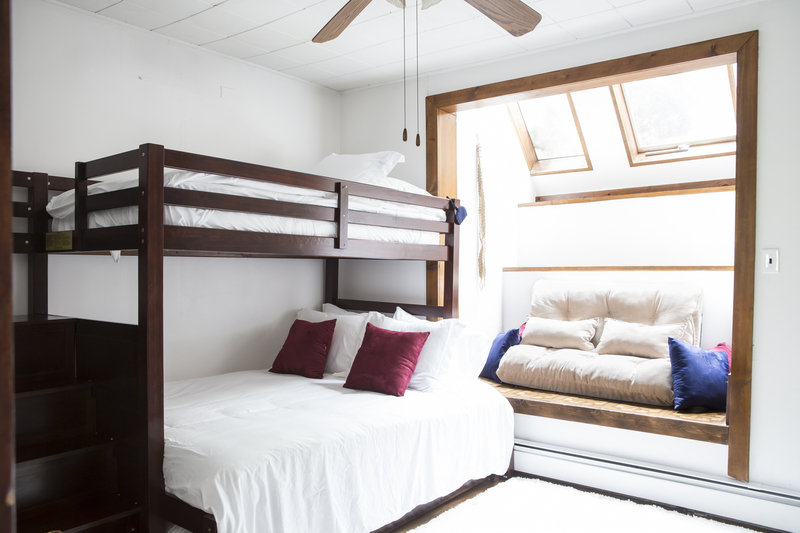 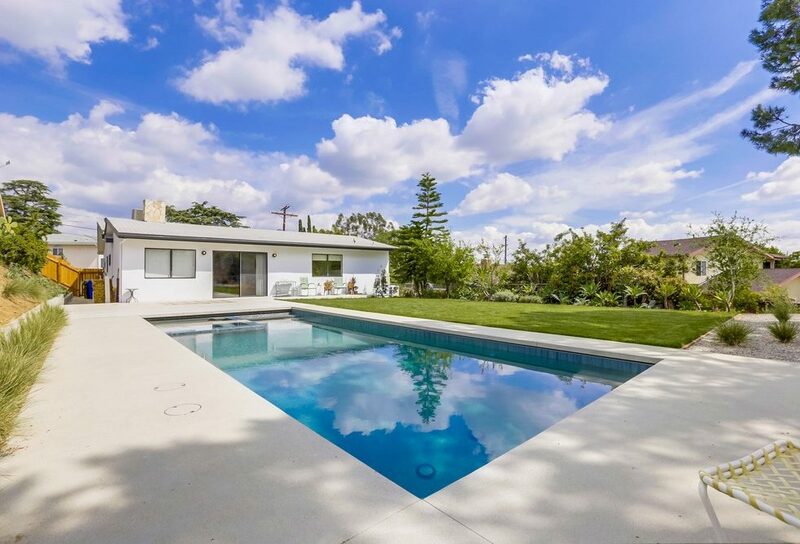 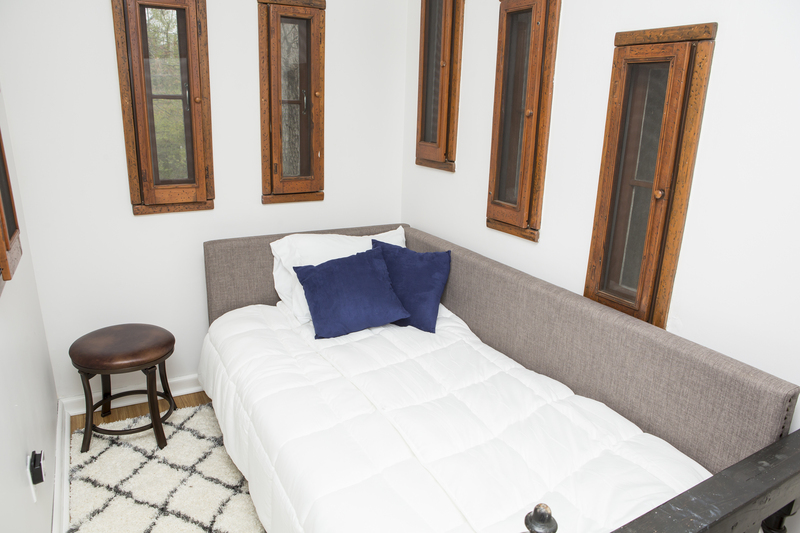 Main floor is rounded out with a den, bedroom and large spa like bath remodled in the style of the home. 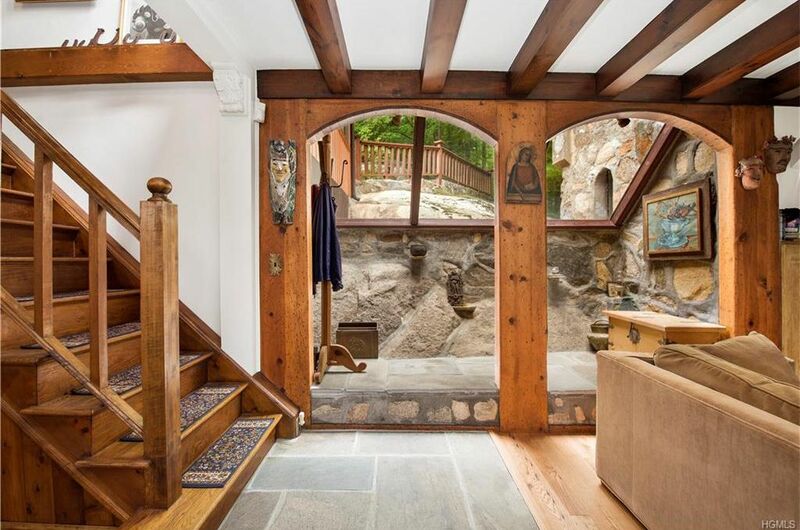 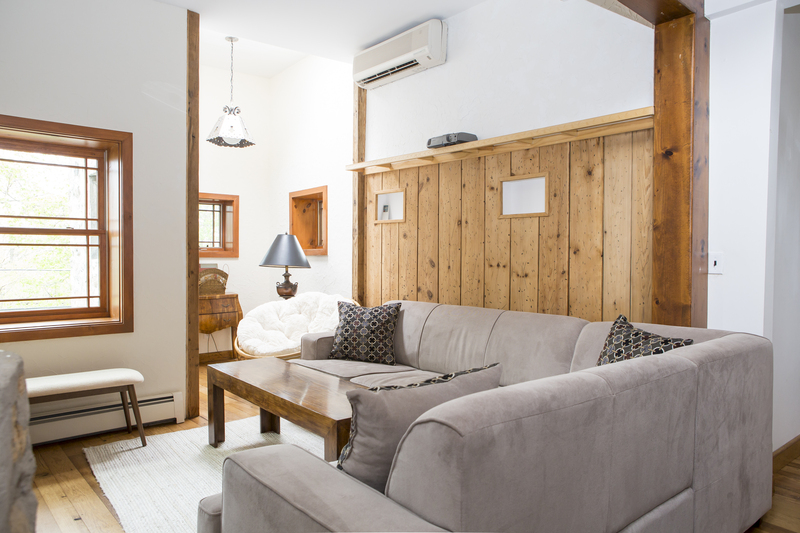 Upstairs find a nicely sized master and third bedroom, both with parquet wood floors and high peaked ceilings. 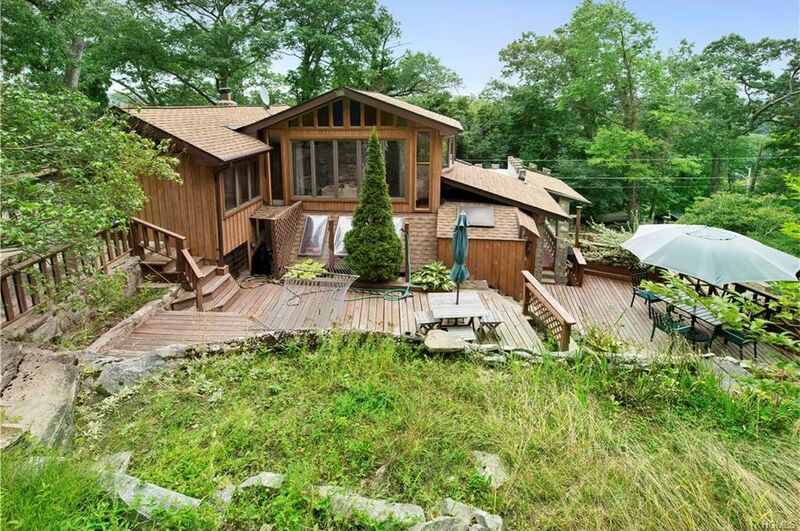 Multiple doors out to multiple tiered decks and patios offer the ability to truly enjoy the outdoors, lake and private back yard views. 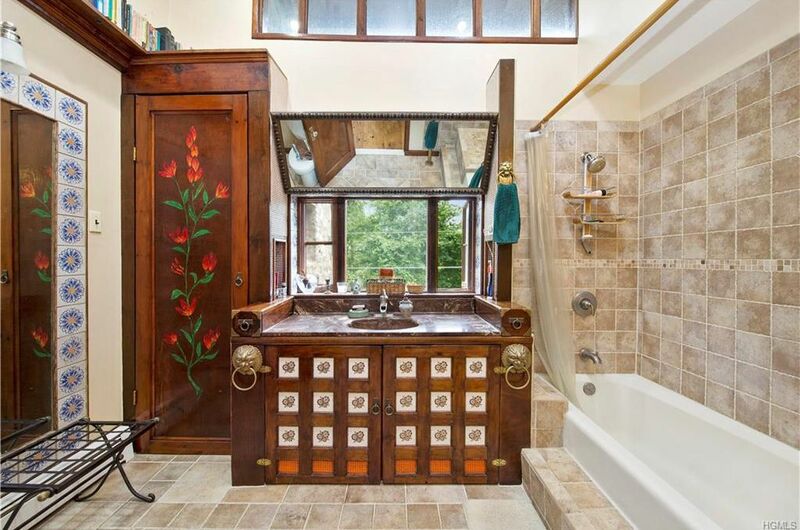 This is a must see to believe!